We have all heard it before “money is the root of all evil”! I have to disagree, I say sugar is the root of all evil. It’s so addictive, more so than cigarettes, and is causing determental effects on the health of our soceity. 1 out of every 3 people in the United States is considered obese. In countries like India that are know to be dominantly vegetarian the obesity rates are skyrocketing! In Japan the same thing….what’s going on??!! I’ll tell you, processed food laden with sugar is what’s going on. We need to wean ourselves off sugar, NOW! The reccomended allowance of sugar is 6 teaspoons a day. 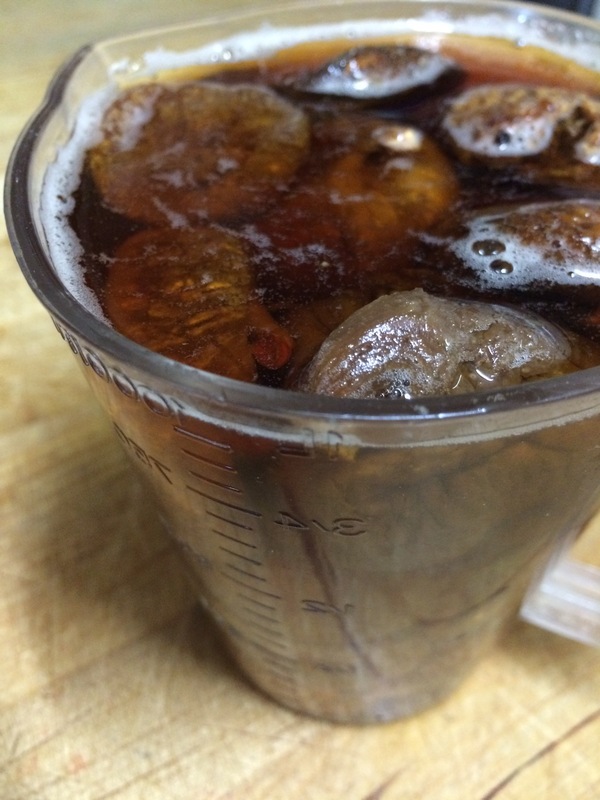 Most people are consuming 28+ teaspoons a day!! That’s incredible, and not in a good way. 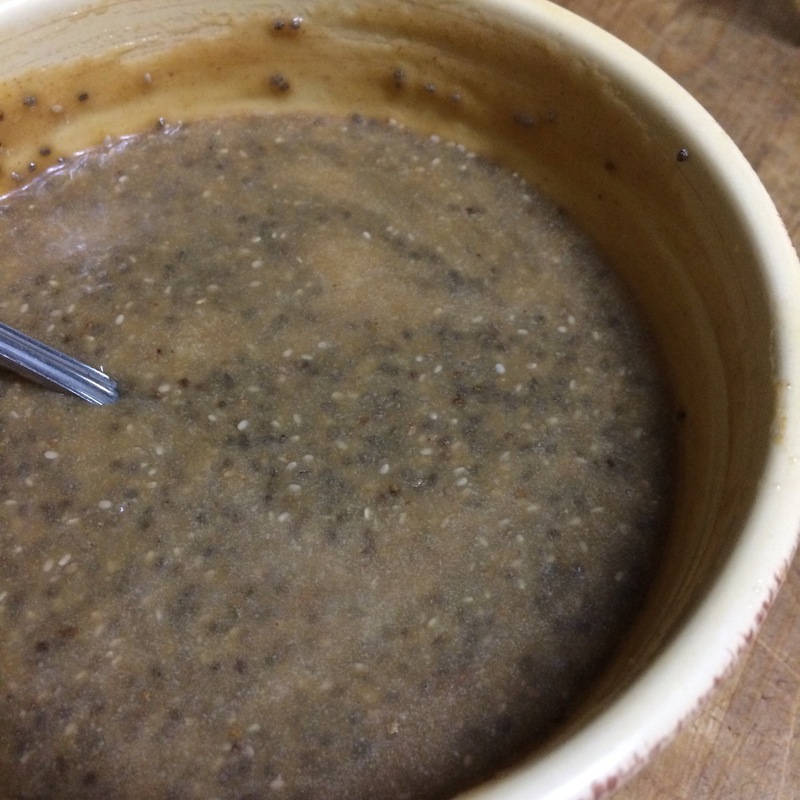 My recipe for Figgy Chia Pudding is super completely plant based, super healthy and best of all has no processed sugars. It’s only sweetened with juice from soaked figs and 2 whole figs! It’s delicious as well as a nutrient powerhouse. Rich Iron, fiber, minerals, Vitiman E…and the list of benefits goes on! 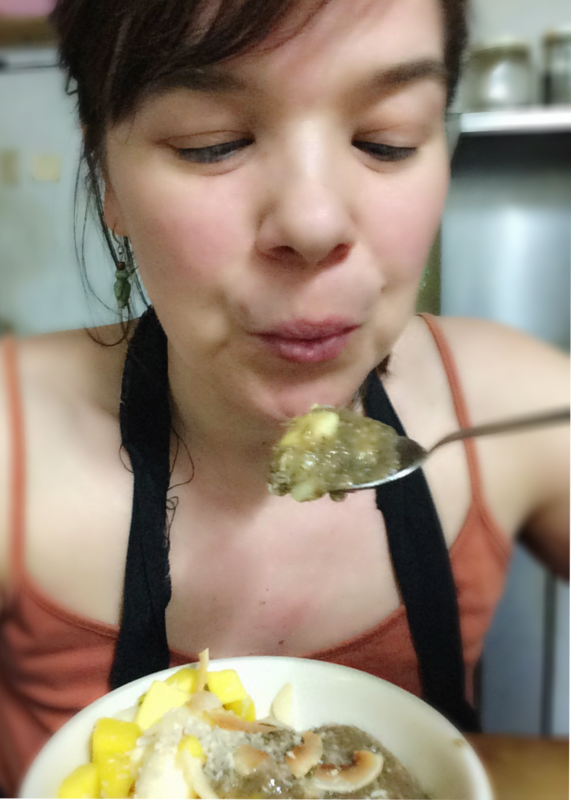 I made a very large batch for my cafe, so this is 12 figs soaked. You want to make sure they are covered by the water. Let soak for 2 hours prior to making the pudding. 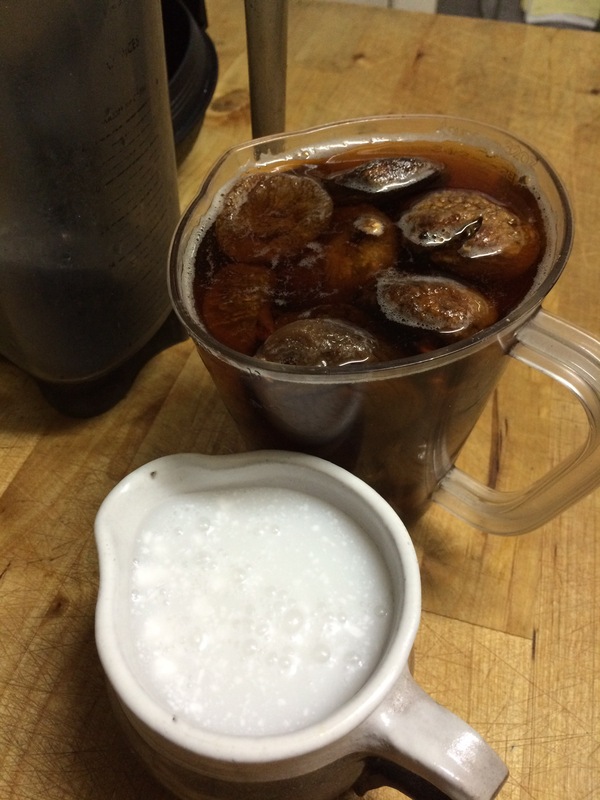 Add the soaked figs and the soaking water to a blender along with the coconut milk and blend until smooth. 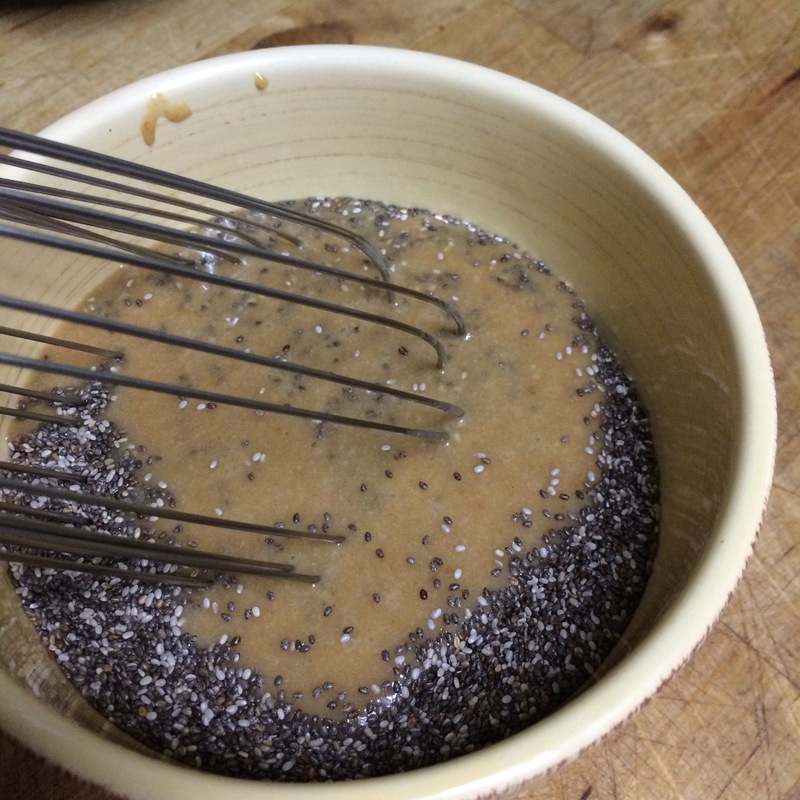 Add the mix to the chia seeds and stir well. 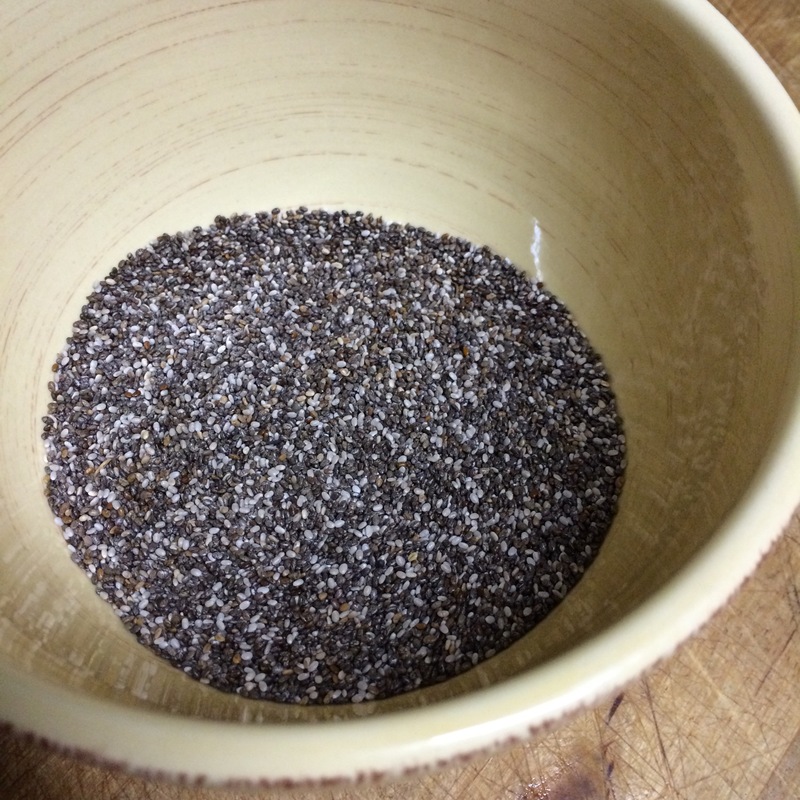 Let the chia seeds soak in the mix for about an hour in the refrigerator. Or overnight if you want the pudding for breakfast. If it’s too thick, just add a little more coconut milk. 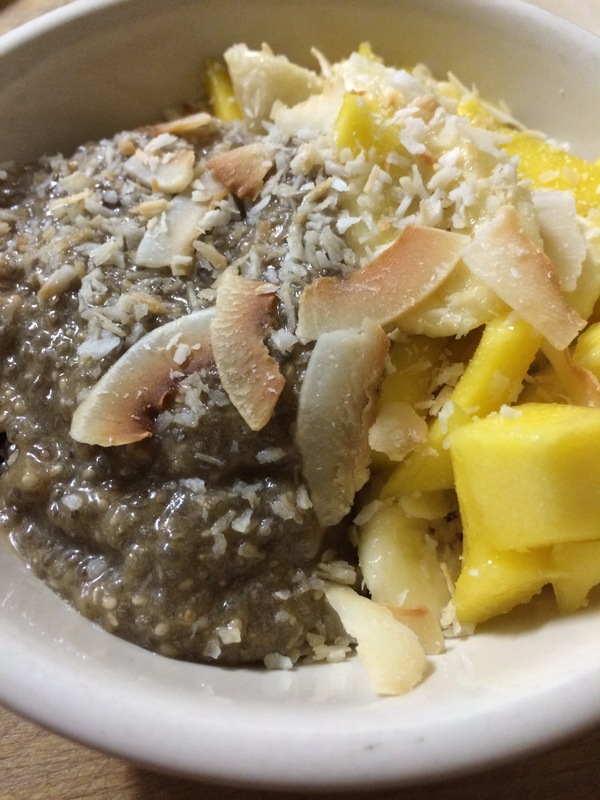 In a bowl place the diced mango and sliced bananas on one side, and the chia pudding on the other. Top with the toasted coconut! Oh my, it’s so good!! Previous PostPrevious Paleo Vegan Eggplant Roll-Ups!